In Perth we’re staying at S and Z’s beautiful house and spending time with them and their amazing son P, whom Rowan simply idolises. We’ve taken to calling Rowan “mini P” because he follows P around and copies everything he does. 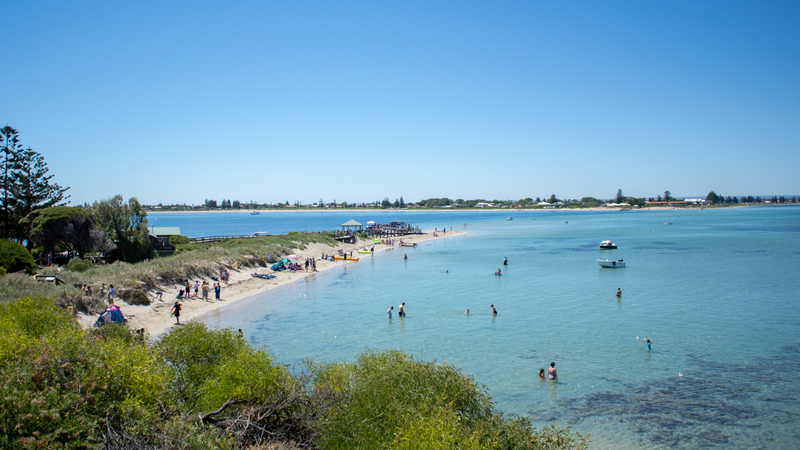 Our first act as tourists in this South Western Australian city was to visit Penguin Island, but we didn’t see any penguins. It was a civic holiday so the island was brimming with people and S thinks maybe the penguins were frightened into secret hiding places away from the crowds. Rowan was disappointed, but we still enjoyed the beautiful views of the shallow aqua blue water and coral reefs. He and P walked hand in hand along the boardwalk with the sea gulls diving and swooping through the air and cawing at us constantly. We took the short but expensive ($60 for a five minute ride!) ferry boat to and from the island, but many locals actually walk or swim there during low tide. Maybe next time we’ll do that too (with a little boat for Rowan). Today it’s 38 degrees and sunny. 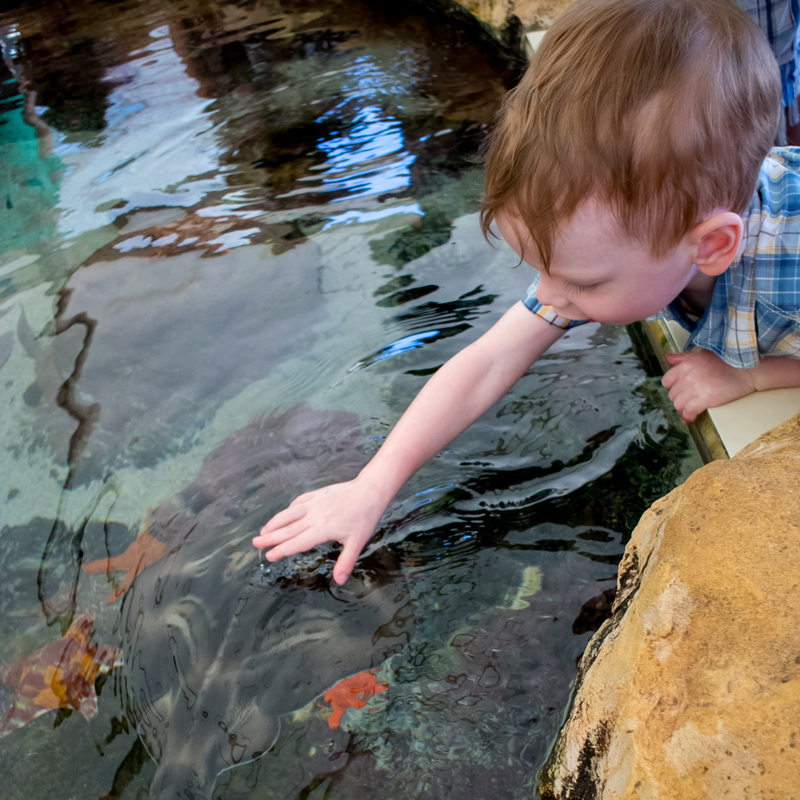 We took the opportunity to spend some time at The Aquarium of Western Australia (AQWA), including their indoor exhibits of local colourful tropical fish and graceful jellyfish, their large outdoor “stingray bay”, and their small pool with young stingrays and sharks that you can touch. Rowan spent about 15 minutes petting a small, tiger striped stingray that kept gliding up to him and sticking its nose out of the water in front of him, which we agreed looked a lot like kisses. The highlight was definitely the largest aquarium on the lower floor that had several different types of sharks, massive sting rays, sea turtles and tropical fish. They swam happily around and over us as we walked through a large acrylic tunnel that weaves around the entire exhibit. My favourite one to watch was the Port Jackson shark because it has the strangest curved-in mouth with multiple layers of teeth around it and exotic black and grey stripes that make it look like a funny alien character out of Star Wars.